This is a racing game that has a realistic force feedback feeling when you drive. It’s offered for Xbox, PS4, and PC use, but seems to be most popular with those who choose to use a PC for the racing. This game comes from a small Italian developer and is offered with several DLC’s that you can add to make the game even more fun when you get behind the wheel and drive. The first version of this racing simulator game was a lot of fun and this second version is even better. Take your racing fun to the next level and enjoy a variety of GT3 cars, IndyCars, rally cars and karts that can be used throughout the game. There are even some of the most popular tracks in the world shown in this game that can be enjoyed for the Xbox, PS4, and on the PC that you want to use for your gaming fun. This game can be a lot of fun and help you hone your driving skills while giving you an active online user base with a real FIA-sanctioned online racing series. You’ll find a variety of cars, tracks, and fun in this game that can be an excellent choice when you want to show off your skills and race around. Gran Turismo Sport may not be the most realistic game in the group, but it’s certainly a lot of fun. If you love the fun and speed of Formula One racing, this is an excellent game to choose and it allows you to drive car from Ferrari, Mercedes, and other automakers that have been a staple of the F1 series for many years. You’ll also be able to race on every single track on the F1 calendar and gives you the chance to race in an official F1 Esports series that’s offered within the game. Rally racing gives you a different feedback and style from the rest of the track-based games that you can enjoy. This is a game that can be great for having the realistic feedback you want with a vast array of cars and stages to choose from for your race. 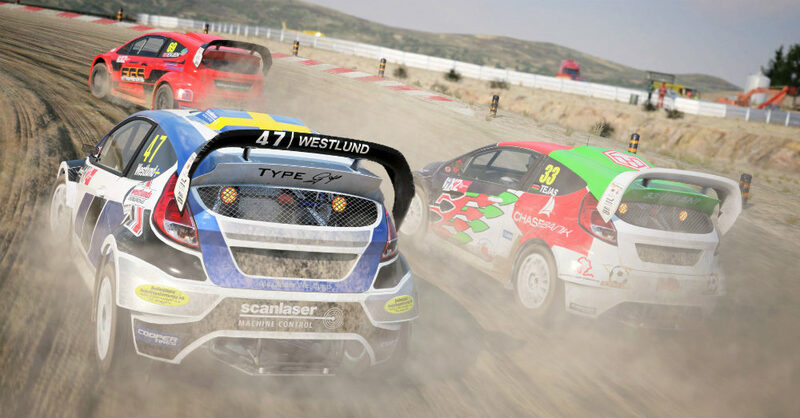 Give this racing game a try and you’re going to have a lot of fun in the rally car you choose.